It is imperative for businesses today to leverage the effectiveness of software in order to get ahead in the market. This is not limited to the enterprise software pieces they use as part of their day to day operations, but it also relates to the proprietary pieces they offer to their users, clients, and partners. But developing proprietary software is a serious undertaking, and one which might be beyond the reach of the average small or medium-sized business – in terms of cost effectiveness and also the general skill and expertise needed to truly deliver. So what is the answer for SMEs in the market? Difficulties Commonly Associated with Offshoring Software Development? Offshoring means a team operating in a different country or territory – which in turn means potential time zone clashes and a heavy reliance on digital communication tools. There is also the very critical factor of cultural differences existing between the in-house and outsourced teams, leading to communication breakdowns. This is a familiar source of anxiety for any businesses working with an outsourced team – How to ascertain the quality of the outcome? There is no guarantee here, but, if the services of a company are hired purely on the basis of low rates, there is a strong likelihood of low quality turning out to be the byproduct. No good service comes cheap. We are in the beginning of the digital era. Data has already started making the business world go round. This makes outsourcing something of a minefield. On one hand, the team needs the requisite data to do the job and to do it well, while on the other, the companies outsourcing are always going to be nervous about how much access to sensitive data would they be giving away. The risk of data breach, either accidental or malicious, is always high and the ensuing penalty could be significantly detrimental. Outsourced teams – both on and offshore – are introducing businesses to a whole new world of flexibility and agility. This is being supported by a wealth of different communication tools which allow collaboration and communication between teams across the globe in real time. With so many high-quality software tools and platforms available, communication breakdowns can be completely eliminated. When a contract is drawn up with an offshore team, regular appraisals and reports have to be included in it to keep a tap on work progress. The result will be a process which is far more streamlined, one unlikely to get hung up or face too many unexpected pitfalls. It enables both the teams to stay on course and make required modifications whenever it is deemed necessary. Reducing costs and achieving better resource management are certainly two important and obvious factors for a company when it comes to outsourcing their software development work. What should also be given equal importance is the quality of work. Everything fails otherwise. Clarity is required on two fronts here. Firstly, knowing the impact the quality of the outsourced work will have on the end result. Secondly, having established evaluation criteria to identify the right partner to engage with. A business should first understand that it is not immune to data breaches from within, and thus, should begin by drafting a high-level data security plan that covers all potential vulnerabilities.With the required processes in place the approach can then be extended to include the offshore partner. Providing them with a copy of one’s data security policy, and ensuring that the same is ratified and agreed upon before the final contract is signed would clearly underline the importance the company puts on the matter. If you have any queries in this field, talk to Mindfire Solutions. For over 19+ years now, we have been the preferred Software Development Partner of over 1000+ Small and Medium-sized enterprises across the globe. 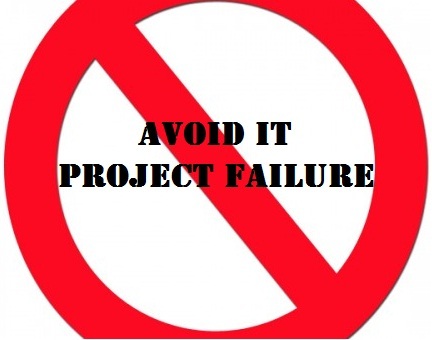 Avoid Offshore Outsourcing IT Project failure! In today’s world, technology can be influential in bringing nations together and on the adverse can destroy nations. Businesses these days are taking advantage of it to manage work across geographical boundaries and as a result minimizing their cost and effort. This is what is coined as the term “Outsourcing”. Though there are some worries in offshore software development work, still it is a widely accepted phenomenon by a majority of companies. The topic of outsourcing continues to grab headlines irrespective of success or failure of offshore outsourcing projects. Companies have mixed response when it comes to feedback on their working experience with outsourced companies. Some companies might have had very good experience working with outsourced companies whereas others might have faced failure. Reasons may be many but identifying one or even a group of reasons is a tough task and sometimes impossible. A number of contributing factors cumulatively result in Offshore Outsourcing IT projects to fail. Some of the generic factors might be improper planning, ineffective management, inaccurate estimates or unclear objectives. But, apart from these, projects fail for some other minor but very influential factors such as communication, infrastructure complexity, culture and sometimes labor division. Let us discuss each of these minor factors to avoid mistakes and as a result avoid project failure. Communication: We know that communication alone does not only mean language. While dealing with different teams across different geographies, it is obvious that communication would undergo other major challenges like time zones, location, distance etc. All these should be managed properly before the start of an offshore outsourcing project. Anybody dealing with an outsourcing project should previously finalize upon the modes and mechanism of communicating. By this I mean that, whether e-mails/Skype calls/video conferencing is sufficient or do they need daily status reports and other online facilities to monitor. Infrastructure: A very important aspect of offshore outsourcing project is infrastructure. This not only includes physical presence but other underlying factors like facilities & hardware. The companies outsourcing needs to ensure that all the team members have adequate tools and access required to complete the work. Hence, they need to make sure that all issues related to privacy, licensing, intellectual property rights and trade agreements are sorted out. Culture: Culture is an under-estimated factor for project failure but, it is very subtle and can affect offshore outsourcing projects to a great extent. Work culture is different in different countries. Hence it is imperative that, every organization should be fully aware of the outsourced location and its culture. Properly managing culture would definitely yield a successful project. One always needs to understand how people in different cultures behave to work with them as work attitude may differ from one culture to the other. Labor Division: Sometimes work is divided among various outsourced companies by the offshore company in order to reduce money. But doing so will not reduce your pain. Instead, it will affect the project’s success, increase worries and also affect long term relationship. Evaluating companies based on their strengths and weaknesses irrespective of the price is rather a better and less risky way of allocating work. In my knowledge, these factors are the most under-rated ones but are highly effective while deciding upon a project’s future apart from the other mentioned points of improper planning, ineffective management, inaccurate estimates and unclear objectives. Hence, these should not be neglected and taken care of prior to outsourcing a project.